I finished this last night. 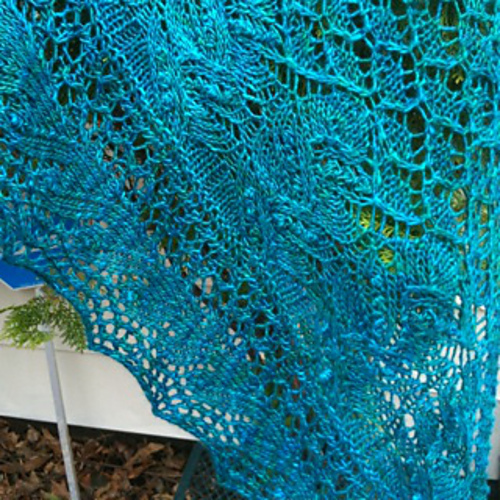 The Juneberry Triangle is lace knitting on steroids. It was not easy to say the least and I had a lot of bumps and issues along the way. This entry was posted in Art, Knitting. Bookmark the permalink. Very beautiful. I’m impressed. I love the color as well. Hi Chrissy, The eggs (the Dozen) were painted by Richmond VA artist Duane Keiser here is a link to his blog (http://duanekeiser.blogspot.com/). I do have several eggs I painted as well but they aren’t in the same ballpark as Duane’s. I own some of the paintings posted and some I’ve painted. It should say in the title of a painting who did the work. Wonderful job… I am wondering if it will be worth it buying the pattern, as I’m not so sure to be able to knit this masterpiece. You’re right to be proud of your work, congratulations! If you can find a group (on Rav) or with your local knitting group you will be fine. 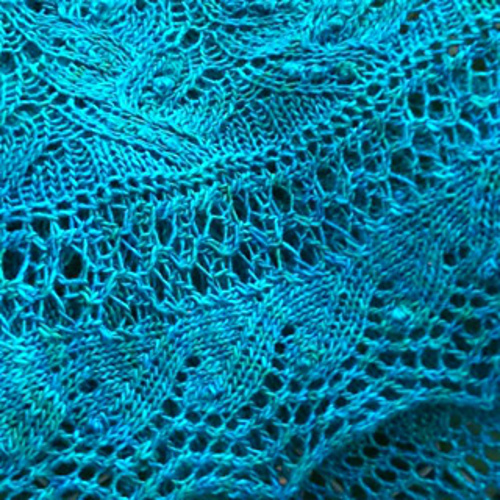 It’s a bit complicated because it’s true knitted lace (pattern on both sides aka no rest rows) and the knitted on edging is weird to adjust to. That said, you should be fine!